As the thunder subsided and the rainclouds parted high above the Aspen Music Festival grounds on August 4, a phenomenal double rainbow appeared over Harris Concert Hall, just as the last ticket-buyers were hurrying in to the hall to see From the Top’s live taping. 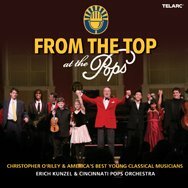 Thanks to generous support from the Sidney E. Frank Foundation, From the Top took up residency at the Aspen Music Festival and School earlier this month with a whirlwind of activities, including auditions, an alumni picnic, a live radio taping, an arts leadership orientation workshop and outreach event, and special events for our donors and board members. Every summer, hundreds of serious young musicians from across the United States, including approximately 60 From the Top alumni, come to Aspen to immerse themselves in their musical studies, making a natural setting for our continued collaborations with Aspen Music Festival. Shortly after arriving in the beautiful mountain village, our recruitment team immediately set up for a full day of auditions. We saw some of the stars of tomorrow’s From the Top episodes! Later that day, we met up with the performers who would be appearing on our taping on Sunday for a pizza party and music rehearsal. This show featured eight performers, including four alumni who have graced From the Top stages before – which made for a particularly rousing and fun music rehearsal and pizza party on Saturday night. Adria Ye’s mom Rui Wang even noted that this was her third pizza party with us! 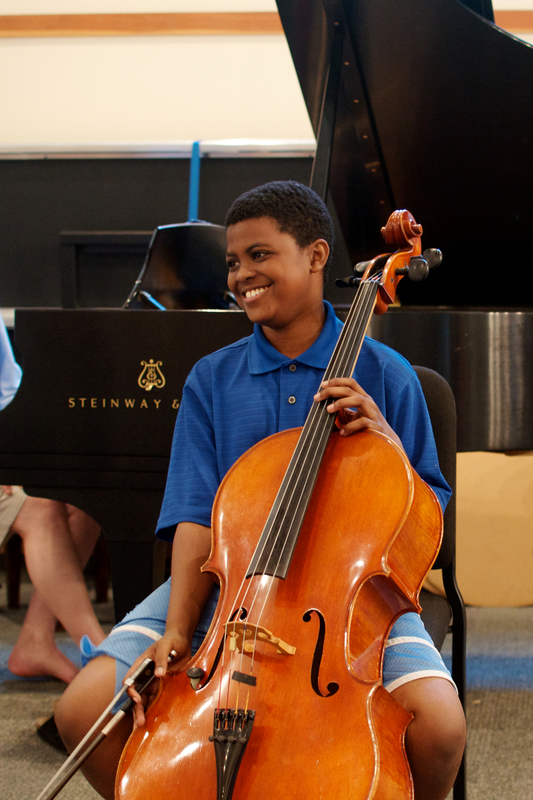 Left, Sterling Elliott (Jack Kent Cooke Young Artist), 14, rehearses the third movement, Introduction: Andante – Allegro Vivace from the Cello Concerto in D minor by Édouard Lalo. More than 50 From the Top alumni, parents, board members, and supporters gathered for a picnic lunch on Sunday, including soprano Lauren Criddle, now age 30, who was featured on our very first show, taped at Tanglewood in Lenox, Massachusetts in 1999, as well as 13-year-old violinist Maya Buchanan who will appear on our next taping in Vermillion, South Dakota. 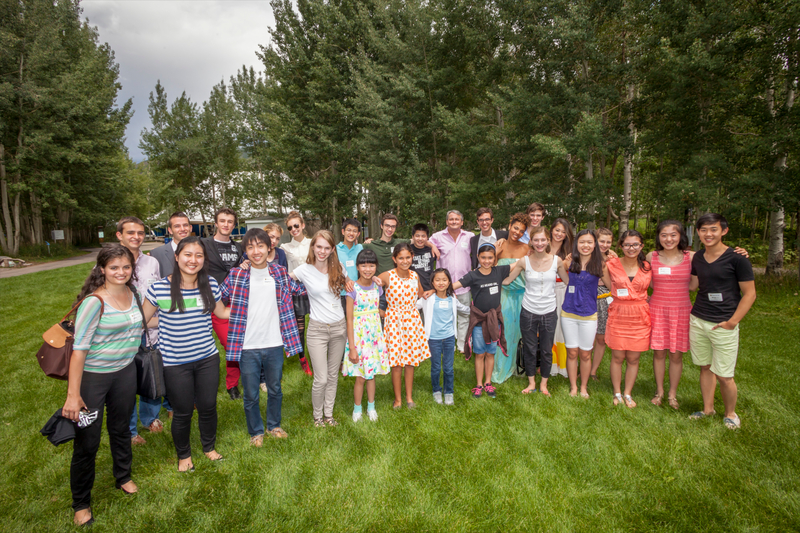 It was our third time hosting an alumni gathering while in Aspen. Above, alumni pose for a picture at the picnic. Then it was time to rehearse and tape our radio show in Aspen Music Festival’s Harris Hall. This was our third show in Aspen in six years and we were thrilled when the enthusiastic audience erupted in thunderous applause for each of the performances. 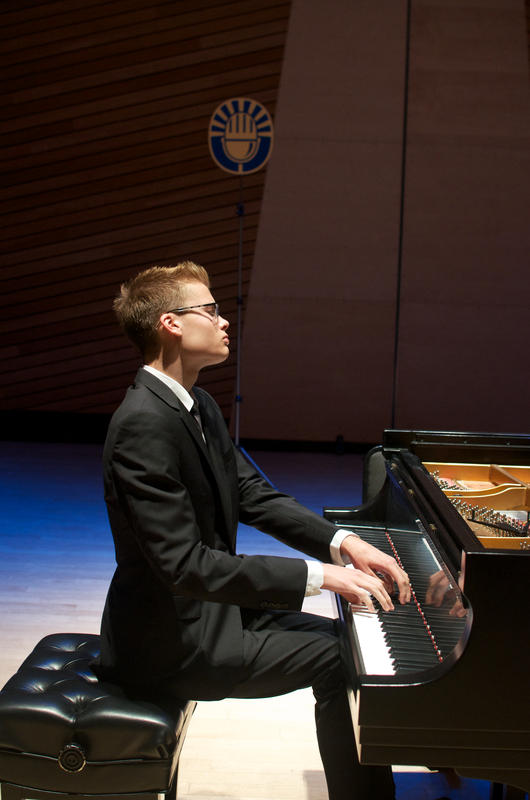 Left, Colton Peltier performs “Feux Follets” from Transcendental Etude No.5 in B-flat major by Franz Liszt. The next day, the show performers took part in an Arts Leadership Orientation Workshop, conducted by our Education and Outreach department. 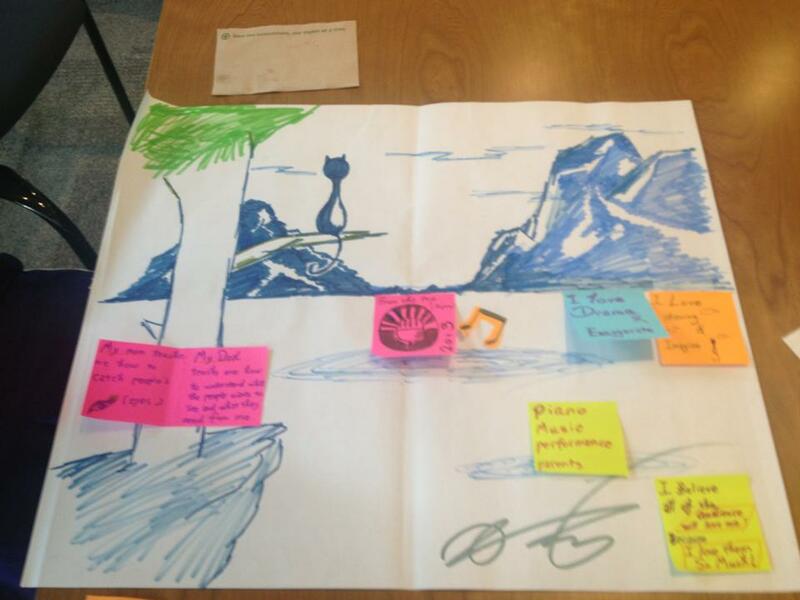 The kids were led through a variety of exercises to help them discover the myriad leadership pathways open to them as artists. Above, performer Jiacheng Xiong’s Leadership Portrait from the Arts Leadership Orientation Workshop. 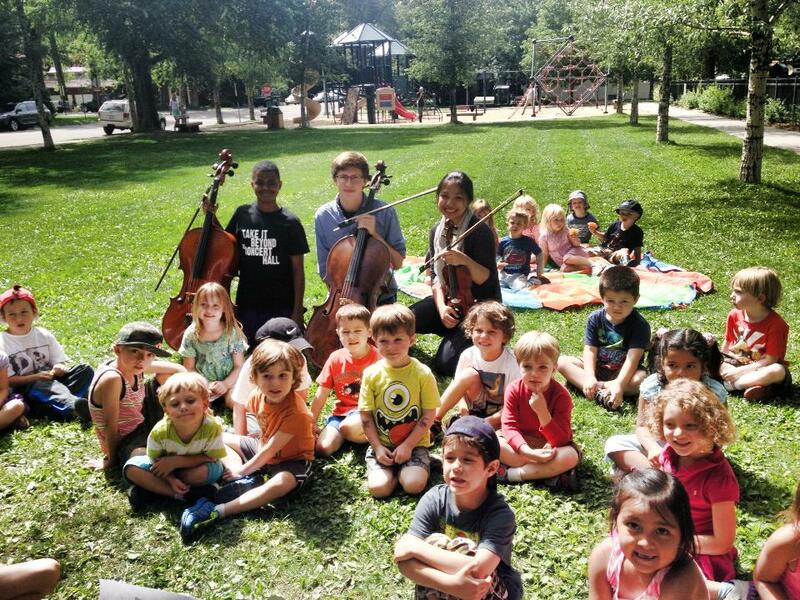 Later that day, they had a chance to put what they had learned into action when they performed a surprise pop-up performance at the playground of the Yellow Brick School for the students at the Early Learning Center. Left, Sterling Elliott, Austin Huntington, and Haruno Sato with the kids from the Early Learning Center in Aspen. 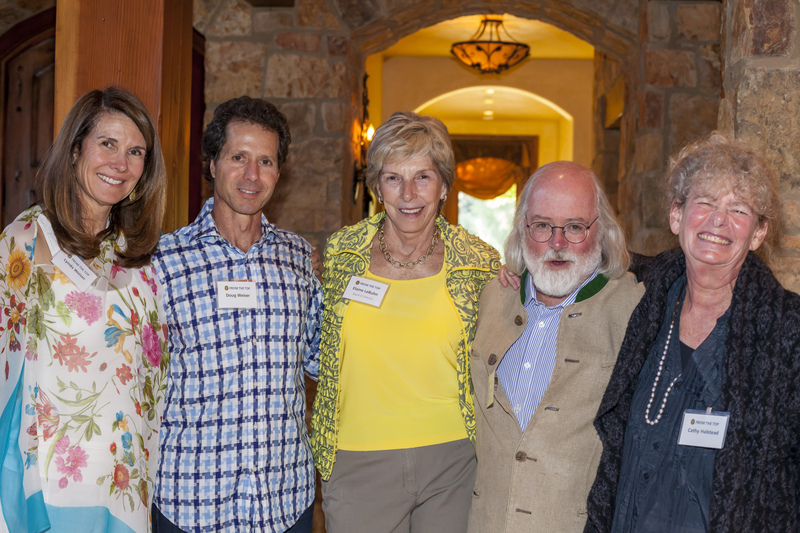 That evening, a reception in support of From the Top was held at the Aspen home of Lynda and Doug Weiser, who hosted along with Cathy and Peter Halstead and From the Top Director Elaine LeBuhn and her husband Robert. More than 50 of our friends and donors enjoyed performances by alumni 12-year-old pianist Avery Gagliano, 19-year-old cellist Nathan Chan, 20-year-old violinist Nora Scheller, and host Christopher O’Riley. Guests included From the Top Overseer Kate Bermingham, Tom and Vivian Waldeck, and 19-year-old alum Colton Peltier. Right, hosts Lynda & Doug Weiser, Elaine LeBuhn, and Peter & Cathy Halstead at the reception. Be sure to tune in to hear the Aspen episode the week of September 16!